Nothing could kill last night’s fun except the good old hangover! The headache, dizziness, nausea and dryness make you regret every sip of that Jack and coke. And you tell yourself this is the last time you will allow for this to happen. Next time, you will make sure not to go overboard. But that resolution gets flushed down the toilet as soon as you hit the bar! Watching your alcohol is the best way to ensure you won’t get hung over. But let’s face it! Sometimes you – and I – will slip. And we will need to know how to prevent a hangover after a night out. 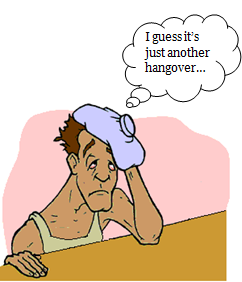 Let’s check out the myths regarding hangovers and try to correct them. Meet AL. He had a party last night and woke up feeling not-so-good! - Dehydrate your body and your brain causing headaches, dry mouth and fatigue. - Decrease blood sugar. Glucose being the primary energy source of energy for the brain, this may disturb brain activity and cause fatigue, weakness, mood disturbances, depression, decreased attention and concentration. - Produce additional toxins and free radicals. - Cause an inflammation in the stomach lining resulting in abdominal pain, nausea and vomiting. While drinking an entire bottle of vodka will speed your way into the hangover, you don’t need to drink that much in order to get it. Depending on your body composition, a couple of drinks can generate symptoms. For example, people who have a higher percentage of water in their bodies will tolerate more alcohol. 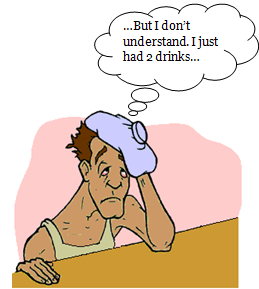 The severity of a hangover also depends on how rapidly you drink. It’s actually the contrary! 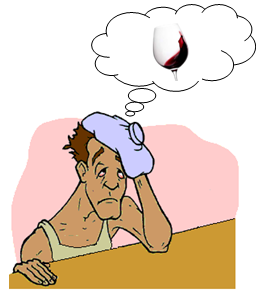 Dark-colored liquor such as brandy, whiskey or red wine, is more likely to provoke a hangover. A wiser choice would be to have gin or vodka. They’re a great idea for dieters but not-so-great for hangovers. In fact, studies show that the ingestion of sugar with alcohol can reduce the incidence of a hangover. So, go for a vodka seven up rather than a Jack with diet coke! 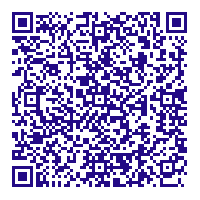 A lot more myths revealed in Part II... Don't forget to come back! Loved this post!! very informative! You should post something about what to eat and not to eat when you have a hangover.